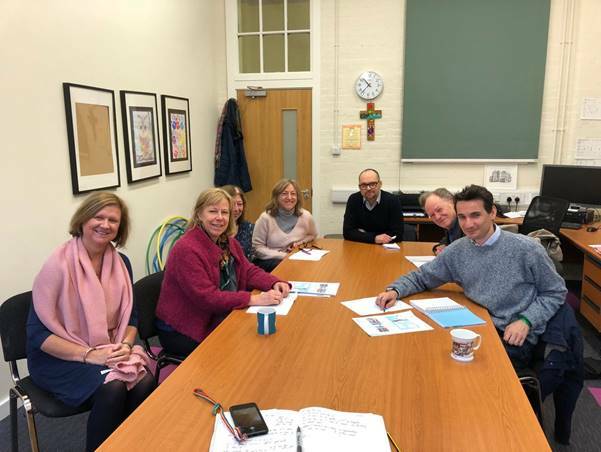 At a meeting at one of the borough’s most polluted schools this week, Ruth Cadbury MP heard of the concerns that the head teacher and governors had about air pollution from the A4 affecting children’s health, and their ideas to address the problem. Every year, over 9,000 Londoners’ lives end sooner than they should because of air pollution, and around a quarter of primary schools are located in parts of London that breach legal air pollution limits. Children are particularly vulnerable to the effects of bad air as their lungs develop, so reducing exposure is especially important at places like schools. Ruth spoke to teachers and parents about air purifiers, a living green wall and other ideas to tackle air pollution in the school, and initiatives such as ultra-low emission vehicles and air quality zones to tackle air pollution in the surrounding areas. The Mayor of London, Sadiq Khan, in undertaking 50 ‘air quality audits’ for primary schools in the worst polluted areas in London to help protect children from toxic air in the capital. As part of the Mayor’s plans to tackle air quality, the audits – funded by £250,000 from the Mayor’s Air Quality Fund and conducted by global engineering consultancy WSP – will identify hard-hitting measures to protect pupils’ health from toxic air.